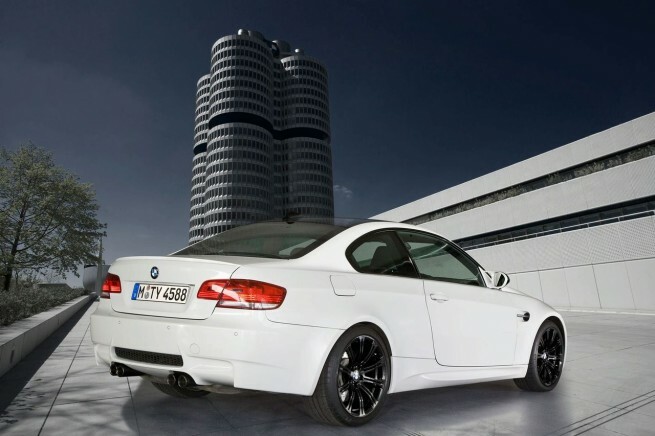 Today, BMW announced the launch of three M3 Edition Models which will be entering the market in July 2009. These individual cars will have some modifications in body design and interior features, as well as special light-alloy wheels and an even lower chassis. The M3s will run in limited production for six months and they will be available in four distinct colors: Alpine White, Black, Dakar Yellow, and Monte Carlo Blue. The M3 Edition models will also sport the BMW Individual High-Gloss Satin Chrome. Powerful, aesthetic design, supreme performance and exclusive style – the unique characteristics of the BMW M3 are now available in highly attractive Edition Models focusing on the most outstanding highlights of these outstanding cars. Based on the BMW M3 Coupé, the M3 Edition Models offer a choice of no less than four highly individual cars boasting perfectly harmonised modifications in body design and interior features as well as special light-alloy wheels and an even lower chassis. The BMW M3 Edition Models will be entering the market worldwide in July 2009 in Alpine White, Black, Dakar Yellow, and Monte Carlo Blue. In the interest of supreme exclusivity their production period is limited to just six months. Individual highlights both outside and inside. 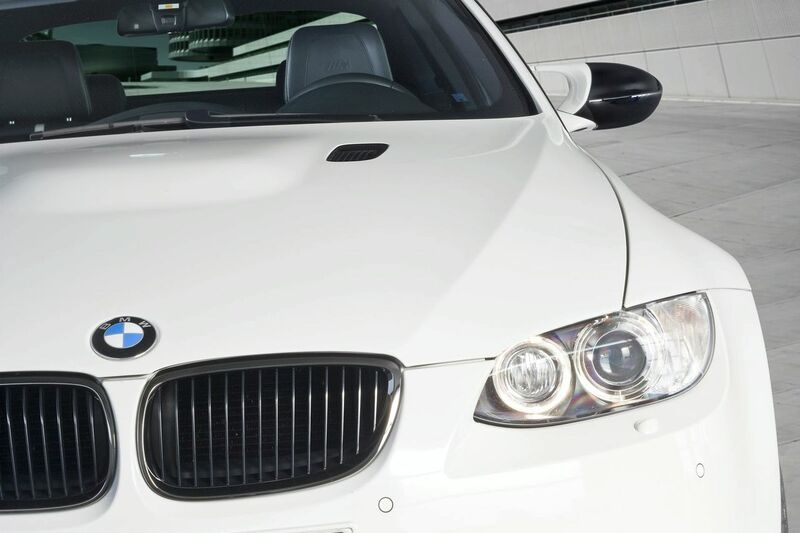 On the BMW M3 Edition Models the exterior paintwork and interior design are individually matched to one another. Depending on the respective Edition model, the body comes either in Alpine White Non-Metallic, Black Non-Metallic, Dakar Yellow Non-Metallic or Monte Carlo Blue Metallic. The combination with BMW Individual High-Gloss Satin Chrome accentuates the truly sophisticated character of the Edition Models. The openings on the engine compartment lid on all models are finished in black, the BMW kidney grille, the side gills and the dual tailpipes on the exhaust system come in dark eloxy-plated chrome. The caps on the special BMW M exterior mirrors are likewise finished in black and are connected to the A-pillars by dual arms extending out of the mirror base finished in body colour. 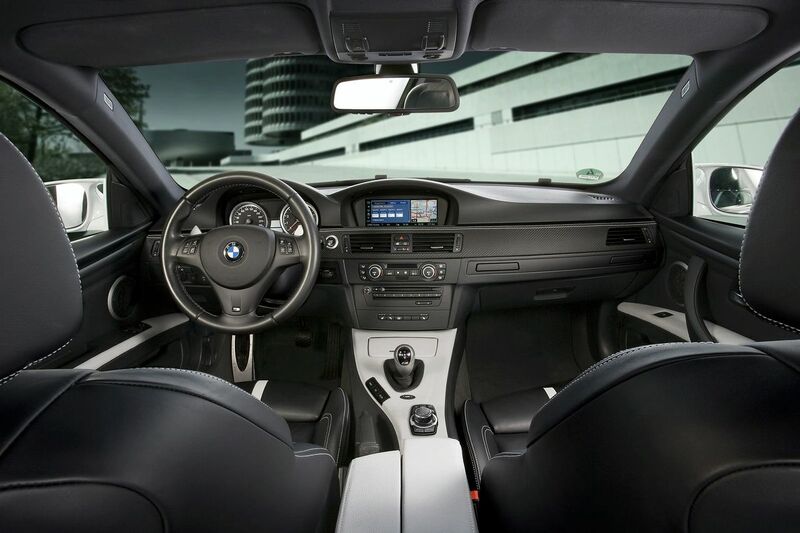 Special colour highlights add an individual touch also to the interior of the BMW M3 Edition Models. The surfaces on the centre armrest, the centre console and the armrests on the door panels are finished in White on the Alpine White and Black models. At the same time these Edition Models come with interior trim in Carbon Structure Leather with white contrasting seams. The seats in Black Novillo Leather feature bespoke contrasting seams as well as vertical trim stripes on the upper section of the backrest and at the front of the legrest. On the Alpine White and Black models, these features come in white, on the Dakar Yellow and Monte Carlo Blue models they are in the appropriate exterior colour. As a further feature the armrests and door closing handles at the inside on the Dakar Yellow and Monte Carlo Blue models come with yellow and, respectively, blue contrasting seams. And last but certainly not least, entry trim bars in Checkered Flag Design bearing the “M3“ model designation give all Edition Models yet another highlight. Special rim design and lowered suspension. To optimise the looks of the car, all four Edition Models come with specially designed light-alloy rims and a unique suspension: On all models the 19-inch forged M light-alloy rims in double-spoke design are available either in black or in the classic rim colour. And on the Alpine White, Black and Monte Carlo Blue models, the same rims are also available in a special white contrasting colour with polished spokes. The suspension of the BMW M3 Edition Models adds to the sporting style of the cars, lowering the entire body by 10 millimetres or 0.4“. BMW M3: supreme performance with eight cylinders and seven gears. The BMW M3 Edition Models give this high-performance athlete a particularly striking look also reflected by the car’s supreme driving dynamics based on a unique all-round concept and drivetrain/suspension technology inspired by motorsport. The V8 high-speed power unit of the BMW M3 develops maximum output of 309 kW/420 hp from 4.0 litres. Power is transmitted to the rear wheels either through the six-speed manual gearbox featured as standard or through the optional M double-clutch gearbox with Drivelogic enhancing both the dynamic performance and the all-round efficiency of the BMW M3 all in one. In this case acceleration to 100 km/h comes in 4.6 seconds (six-speed manual: 4.8 seconds) and average fuel consumption in the EU test cycle is 11.9 litres/23.7 mpg imp (six-speed manual: 12.4 litres/22.8 mpg imp)/100 kilometres. The BMW M3 comes as standard with a lightweight carbon roof, while the options include Electronic Damper Control and the M Drive menu enabling the driver to configure individual, M-specific suspension and drivetrain functions just right for his personal style.